I am a big movie fan. As I type this, I am watching one of my favorite movies, the original King Kong. Always liked monster flicks. The first film I ever saw in a theater was Godzilla, King of the Monsters. That film gave me nightmares for years. I like Frankenstein and the Bride of Frankenstein, too. I like good and bad science fiction films. The good: The Martian, the original The Day the Earth Stood Still, both versions of The War of the Worlds, 2001: A Space Odyssey, The Time Machine, The Man from Planet X. The bad: any 1950's or 1960's film with a flying saucer, dinosaur or a giant whatever. I never saw a Hitchcock film I didn't like. North by Northwest is my favorite Hitch flick and it is probably my favorite film of all time. It also stars my favorite actor, Cary Grant. I also like Tarantino films, especially Pulp Fiction and Jackie Brown. Other crime films I like include Godfather, Godfather II, Casino, Goodfellas, The French Connection, The Pope of Greenwich Village, The Seven-Ups and The Departed. Humphrey Bogart is probably my second favorite actor and I like a lot of his films. His wife, Lauren Bacall, is probably my favorite female actor. Myrna Loy is right on her heels. My father was in the Marines during World War II and carried home two Purple Hearts and shrapnel in his upper arm. Pop watched a lot of World War II flicks and I became a war film fan, too. The Great Escape, Apocalypse Now, Stalag 17, The Caine Mutiny, The Longest Day, Saving Private Ryan, The Deer Hunter and Mister Roberts are films I will watch anytime. The Sands of Iwo Jima gets an honorable mention; my Pop liked the film because he fought on Iwo and I like it, too. I love John Ford westerns: The Man Who Shot Liberty Valance, My Darling Clementine, Fort Apache, She Wore A Yellow Ribbon, The Searchers, etc. I like chick flicks, too. I don't care much for trans films. Most of them don't ring true, but there is one that I consider much better than the rest, The New Girlfriend. I recommend it highly. There's a new trans-themed film out on video that I think you'd enjoy, Stana. "Just Charlie" is, IMO, very true to life. I watched it on Amazon and consider it $4.99 well spent. I will check it out. Thanks for the heads-up! I also love monster and sci-fi films. The 13-Oscar-nominations film, THE SHAPE OF WATER is excellent. It's like a marriage of CREATURE FROM THE BLACK LAGOON and 1940's Noir cinema. In the monster category, PACIFIC RIM (directed by THE SHAPE OF WATER director, Guillermo del Toro, is also excellent. THE DAY THE EARTH STOOD STILL (1951 version) is one of my 3 favorite films. Although the re-imagined 2008 version with Keanu Reeves as Klaatu is not the classic that the original is, I thought it was well-done and the differences in eras and situations were well presented. I also like the other genres that you mentioned, although I'm not particularly fond of historically based war films ... I'm more of a STAR WARS or INDEPENDENCE DAY war film girl. Of course, I also love well-done chic flicks. THE NEW GIRLFRIEND is very good. Daughter saw The Shape of Water and loved it. I will have to see it, too. Our tastes definitely overlap (I eschew western movies, but enjoy the old radio adult westerns). As for t-films, I find them more exploitative than enlightening. I mostly hope for the best but couldn't even get through Wong Foo or Priscilla. I recorded but didn't even watch TransAmerica. I saw bits and pieces of each of those films. That was more than enough for me! Those two films were tied for the Number 1 spot on my Top Trans Film List until The New Girlfriend came along! I have The Danish Girl DVD but have not watched it yet. If you like Westerns, have you ever seen "The Colter Craven Story," a 1960 episode of Wagon Train. It was directed by John Ford, a bit part in it featured Michael Morris (aka John Wayne) and of course Ward Bond appeared in a lot of Ford films with Wayne. So did Terry Wilson (Bill Hawks on the series) who was at times Wayne's stunt double. It also had John Carridine along with regular Ford/Wayne cast members Chuck Hayward, Ken Curtis, Willis Bouchey,Cliff Lyons, Anna Lee, Chuck Roberson and Hank (Ol' Mose) Worden. As I said, it was an episode of Wagon Train (Season 4 Episode 9) but it was basically a 1 hour John Ford movie. Wagon Train is carried by one of the channels here, so I will watch for that episode. It's on Youtube if your TV is a SmartTV. Yes it is, so I will watch it tonight! Just watched it and it was great! You noticed the bit part of Sherman who stayed in the shadows was John Wayne? I'd recognize his voice anywhere! Coincidentally, he played General Sherman again in "How the West Was Won." Yes, I mentioned that to Deb since How the West Was Won is one of her favorite movies. Did you notice Colter Craven was played by Carlton Young who was the one armed Confederate colonel in "The Horse Soldiers" and was also in "The Man Who Shot Liberty Valance." I may have posted this in FEMULATE a few years ago. I thought it fits well with the topic of your post. It's a Femulating film, but not a Trans film, since it's about a non-Trans guy posing as a woman to get work in a film (similar to TOOTSIE). But, it's well done and funny in parts. I recently bought the Blu-Ray video of the 2011 German film “RUBBELDIEKATZ” (also known as “WOMEN IN LOVE”). This film is similar to the classic American film “TOOTSIE”. It is about a man who dresses as an “actual” woman to get work in a German movie. 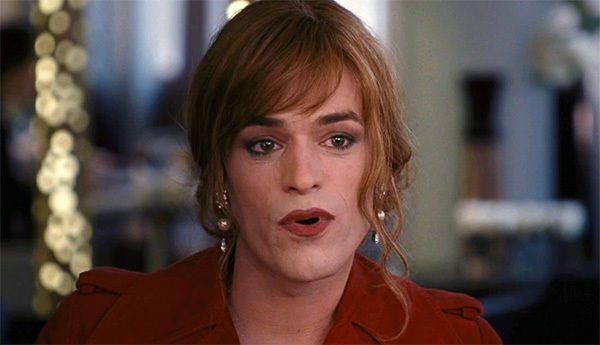 TOOTSIE was a better film plot-wise and script-wise, but the crossdressing lead actor in RUBBELDIEKATZ, Matthias Schweighofer, makes a much prettier woman than Dustin Hoffman was in TOOTSIE. Matthias is a blonde “pretty boy” and is quite good-looking both as a man and as a woman. RUBBELDIEKATZ is sold in both DVD format and Blu-Ray. However, the DVD version is in the European format and will NOT play on USA DVD players. But, the Blu-Ray format is universal, so it will play on all Blu-Ray players. The technical and picture quality of the Blu-Ray version is perfect. The cinematography is excellent and the high-definition images are extremely sharp and perfectly focused. The soundtrack is in German, and all the text and packaging are in German, but you can choose to play it with English subtitles, which are very clear and easy to read. There are a number of EXTRA featurettes, and although they look great, they are all in German with no English subtitles available, but fun to watch nonetheless (like the OUTTAKES and featurette on Costumes, which show Matthias wearing many differrent female outfits). Matthias looks really good as a beautiful woman, and he gets to wear 4 or 5 really beautiful feminine ensembles. I bought the new Blu-Ray on Amazon.COM. I have it on DVD with the English sub-titles. A reader built it for me back in 2012. Not sure how she did it, but she did it! 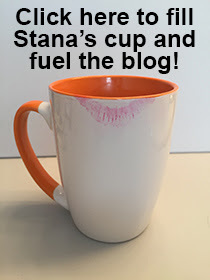 Stana, did you ever see “Different for Girls”, a BBC UK TV film production. I think it is sweet. I have seen it a few times and it is tied with Just Like A Woman as my second favorite trans film.